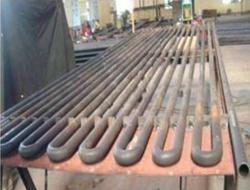 Economiser Coil is fabricated out of ERW boiler tubes, Carbon steel seamless tubes as per buyers' drawing/specifications. Special care is taken while fabrication to ensure that the thickness and ovality on the bent portion remains within the permissible limits. Weld-joints are also made of radio-graphic quality. 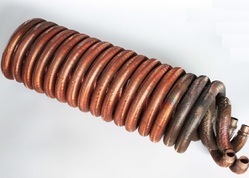 These coils are used in Thermal Power Stations, Captive Power Stations and Boilers of Process houses. Can be supplied duly certified under IBR or 3rd Party Inspection. We manufacture Industrial Globe Valves, which are applicable in water, steam and oil industries with the best workmanship and durability. 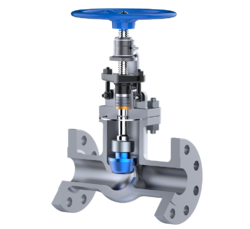 These Industrial Globe Valves are fabricated using high quality raw material which is appreciated all across the globe. We also offer them as per client's specifications. To gain the strong foothold in this industry, we are devoted toward offering a wide gamut of Boiler Accessories. The only high-quality raw material is used while manufacturing the offered range, for increased compliance with international standards of quality. Looking for Economiser Coils ?